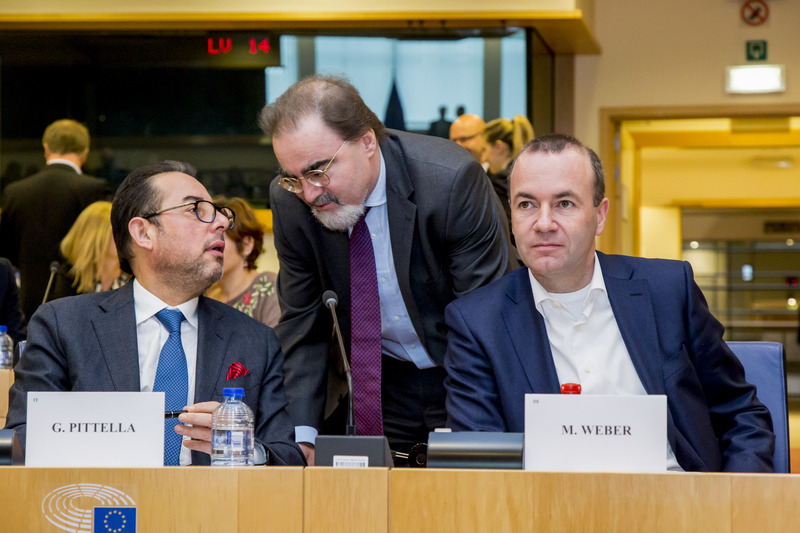 Gianni Pittella and Manfred Weber: Stronger with or without each other? The European Parliament's Socialists are seeking a new role in an upended political landscape after the breakdown of their so-called grand coalition with the Christian Democrats. 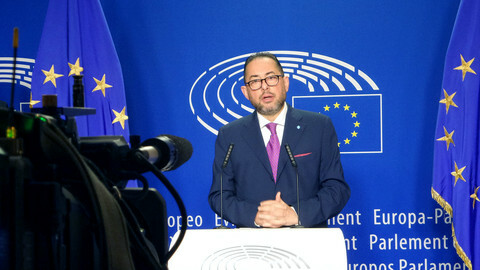 Some in the Socialists and Democrats group (S&D) see the surprise move by their leader Gianni Pittella to do away with over two years of working closely together with their main political rivals, the European People’s Party (EPP), as liberation. Pittella decided to break the grand coalition after the EPP's Antonio Tajani decided to run against him to succeed S&D's Martin Schulz as parliament president. Tajani was elected in January. But most are aware that their life has just become more difficult. 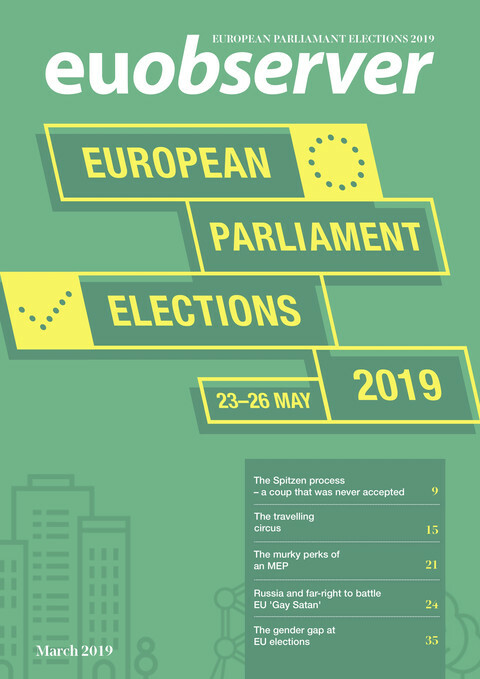 “The political life will certainly get more dynamic, more effort will be needed to get a majority for the issues that matter to us,” German MEP Jo Leinen told this website, adding that Socialists would look for majorities on issues like social justice. “It’s an open game. A new battle, a refreshing battle of political life in Europe, that better reflects the political realities in Europe,” Leinen said. Some think that this opens up a bigger room for manoeuvre for the group. "There is a sense of relief in the Socialist group now that the unspoken grand coalition's shackle is gone," said Istvan Ujhelyi, a Hungarian MEP. 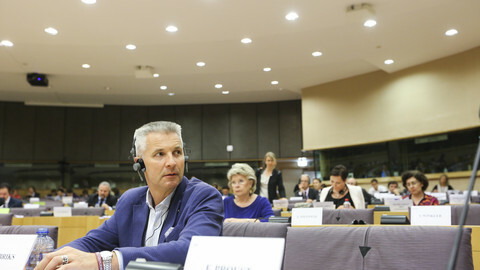 "There were those of us who rebelled because by working together with the EPP we had to remove important issues for us from the agenda," he said, citing the example consumer rights or labour rights. Another S&D source said giving up the grand coalition would not lead to the isolation of the group in the parliament. “It will be more difficult, but more democratic,” the source quipped. When asked by this website, Pittella said he was proud of the decision to do away with the grand coalition that was forged after the 2014 European elections under Schulz, partly to secure majority over eurosceptic forces. “The influence of the S&D will not only be maintained, but strengthened,” Pittella insisted, saying he was hoping to build a coalition starting for the left. But Doru Frantescu director of VoteWatch Europe, a think-tank in Brussels, told this website that the S&D’s influence is likely to decrease ahead of September's German elections. 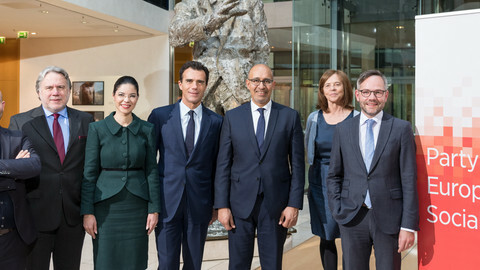 He said that the CDU, chancellor Angela Merkel's Christian-Democratic party "will try to isolate as much the S&D, and [German centre-left] SPD as much as possible until September." Manfred Weber, the German leader of the EPP group has already taken aim at the centre-left recently at a Strasbourg press conference alleging that while Socialists complain about youth unemployment, they vote against issues that can create jobs, like the EU-Canada trade deal. About 30 percent of S&D MEPs voted against the deal on Wednesday. “This is just pure hypocrisy,” Weber said at the event, where he unveiled common ideas for the EU with liberal leader Guy Verhofstadt. He charged that Pittella was picking an ideological fight with EPP, and against the “partnership approach”. The S&D will also have to face the dilemma that many of their national parties are struggling with, whether to move further to the left or stick to the pro-free market centre. 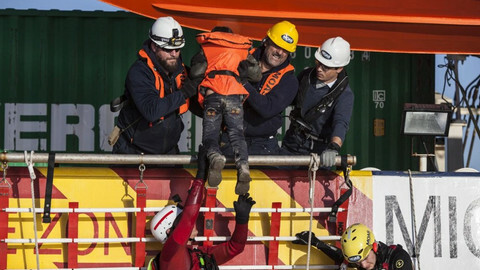 “Until they get their act together, they are in grey area,” VoteWatch Europe's Frantescu said. “These are going to be difficult times ahead, but at least luckily for them there won’t be a vote on TTIP [the planned US-EU free trade deal] anytime soon,” he added, arguing that it could further drive a wedge within the group. But despite the rhetoric, the grand coalition isn’t dead yet. That was visible during the Ceta vote on Wednesday, which was passed with a comfortable majority thanks to the Socialists' votes. “We are not seeing a lot of changes in the dynamic in the parliament. Until now, it is more about political discourse than practice,” said Frantescu. 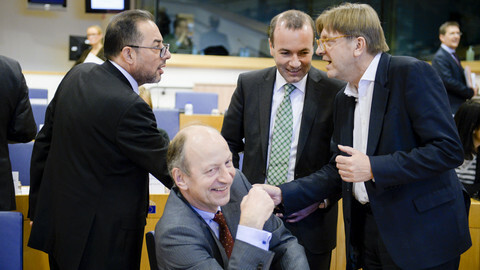 “After the Weber-Verhofstadt coalition, not much has changed. On the reports on future on Europe, EPP and S&D voted together against the liberals,” he added. Ska Keller, co-president of the Greens also expressed scepticism about whether the grand-coalition is indeed gone. “I’m not so convinced that it is really dead,” she told this website in Strasbourg, pointing to the voting on committee chairmen, where she said the two major parties worked together. Keller said the socialists are reaching out, but also charged that a lot of Socialists MEPs “felt comfortable” in the grand-coalition because it was easier to get things done. 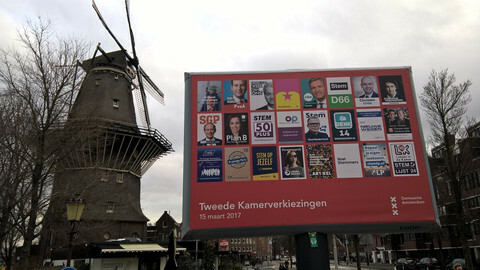 Despite the sighs of relief that Geert Wilders did not win the Dutch election, there has been a worrying fragmentation and defeat of the left in the Netherlands.